Let’s get natural, but do it with contemporary style with the incredible blend of luxury and organic materials of the Natural Outdoor Dining Table. 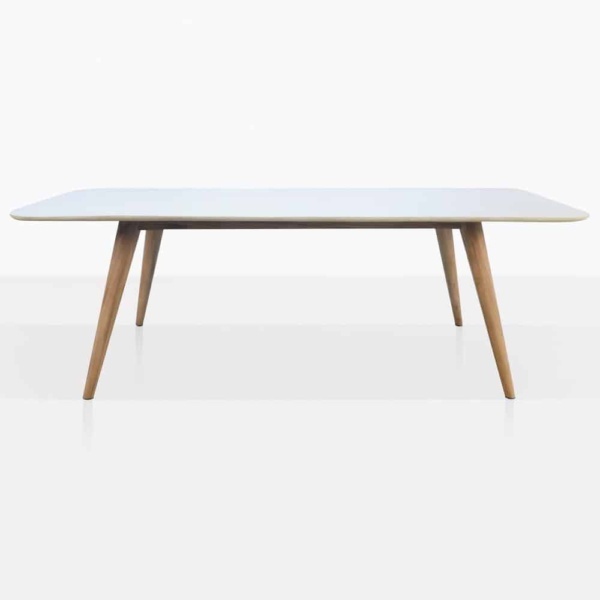 A tremendous approach to design, the Natural Dining Table employs the extraordinary blend of stunning teak wood and concrete composite for a refined, robust and rustic look. The Natural Dining Table has a solid teak base, with satisfyingly husky, solid legs, and is polished off with a slender, elegant slab of concrete composite table top.We know you’ll be as thrilled with the results as we are. 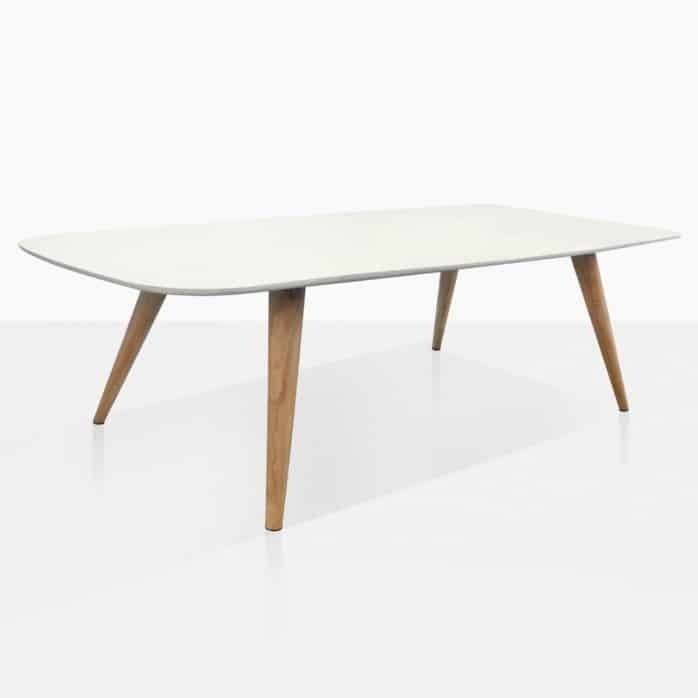 Rejoice in this chic effort of the Natural Teak and Concrete Dining Table. Situate indoors or out and love the influence and tone of this dashing dining table. Place in amongst your garden surrounded by powder coated aluminium and wicker dining chairs in black or white for an effortlessly chic situation you and your guests will adore. Perhaps you’ve a large deep seating suite that needs to be complemented with dining furniture? 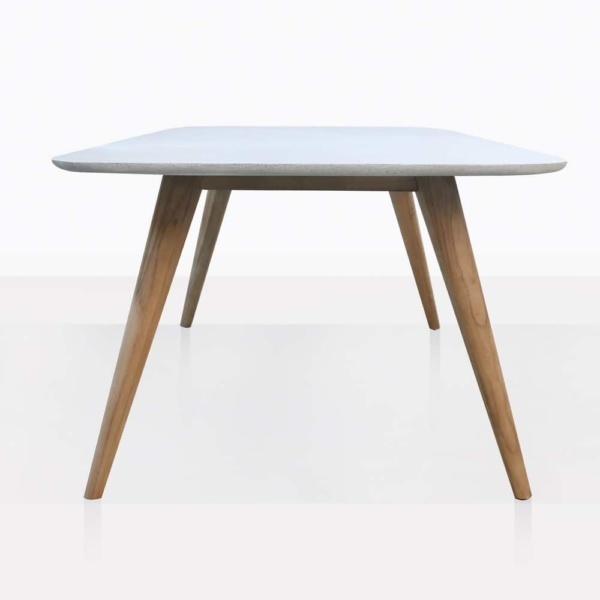 Tie the look together with the Natural Dining Table, with concrete benches and additional concrete side tables in amongst your relaxing furniture for ultimate style and a polished looking approach to outdoor living. Made from superb materials, the Natural Dining Table is sturdy, solid and long lasting. Teak wood is known for its natural rubber and oil, culminating in extremely strong product that weathers well in the great outdoors, and looks breathtakingly beautiful. Our concrete composite is made from fibreglass, resin and, of course, concrete. 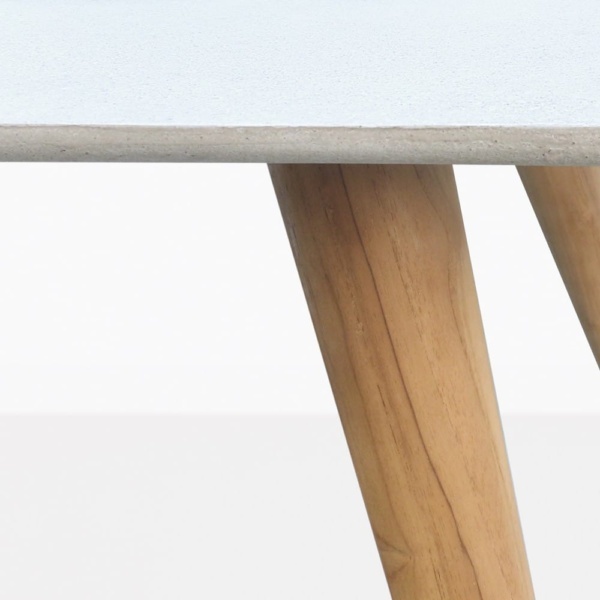 It is immeasurably gorgeous, and incredibly structurally sound, lighter than 100% concrete and on the Natural Dining Table gives the perfect flourish to compliment a wonderful look. Design Warehouse is at the forefront of luxury, designer outdoor furniture. Call us today to order your Natural Outdoor Dining Table and enjoy as your space is transformed into one of supreme style and opulence.